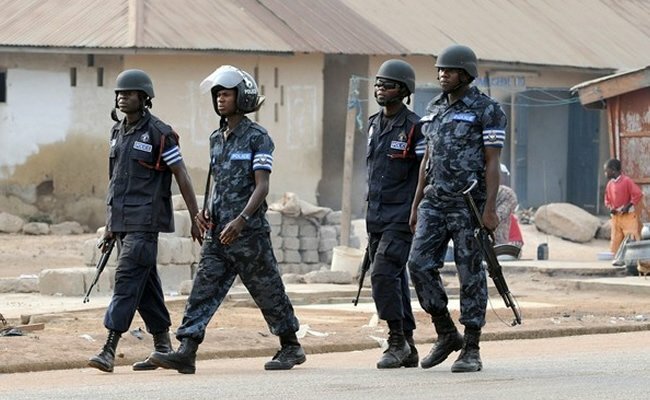 The Upper East Regional Police Command is interrogating an activist of the National Democratic Congress (NDC) for an alleged plot to have the party’s parliamentary candidate for Bolgatanga Central, Isaac Adongo, assassinated. The suspect is said to be one of the campaign coordinators engaged by the current Member of Parliament (MP) for Bolgatanga Central, Emmanuel Akolbire Opam-Brown, for his unsuccessful bid for a third term in office at the last primaries of the NDC. Police are withholding the identity of the suspect for security reasons. But reports gathered by Starr News indicate that the suspect was arrested after a middle-age man (name withheld for security reasons) had filed a complaint of assault against him. The complainant also disclosed to the police that the suspect had contracted him to assassinate the parliamentary candidate and promised to reward him with Gh¢ 20,000 and a car if he succeeded. The Upper East Regional Police Commander, DCOP Simon Afeku told Starr News police would not downplay the implications of the allegation. “The fact that the complaint has been made does not make it true. It needs some further investigations, which we are carrying out. We are not downplaying the allegation. We just have to be firm and investigate it very thoroughly and come out with the truth and deal firmly with it. That is precisely what we are doing,” DCOP Afeku said. Speaking to Starr News, the Bolgatanga Central Constituency Secretary of the party, Abdallah Salifu, described the complainant as a “creative liar” who is fond of duping and blackmailing public figures for a living. The complainant, according to Mr. Salifu, had duped former Ghana’s Ambassador to Mali, Donald Adabere, when he was the Brong Ahafo Regional Minister. He is also reported to have duped a former parliamentary aspirant, Simon Atebiya, and caused the arrest of one Boston on accusation that the suspect was involved in the printing of counterfeit currencies― which, according to Mr. Salifu, was later proven to be false. “This is a gentleman that everybody must be careful of. He has a long history of criminal activities. This is not going to be the end of the story. In fact, he must prove beyond reasonable doubt because what he alleged can cause a serious internal problem. Already, after the primaries, you know what goes after the primaries― there are always petty, petty divisions. National executives came and we are beginning to mend our cracks. So, some of us are really surprised that stories like this are coming out from not even credible human beings,” the Constituency Secretary fumed. When contacted for his take on the development, Mr. Adongo, who is the supposed target of the alleged assassination conspiracy, refrained from speaking much about the case. His posture, according to him, was due to the fact that the matter was being investigated by the police and also for fear that speaking to the issue could undercut the efforts being made by the party’s national hierarchy to ‘heal the wounds’ and ‘sandpaper the scars’ sustained by individuals and groups from the last parliamentary primaries. 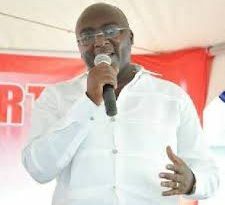 The allegation of the assassination plot comes as Ghanaians are still reeling from the wave of shock that greeted the cold-blooded murder of the MP for Abuakwa North, Joseph Boakye Danquah Adu of the New Patriotic Party (NPP), a week ago and another assassination attempt on the NPP parliamentary candidate for Cape Coast North, Barbara Asher Ayisi, at the weekend. Isaac Adongo, a financial consultant, won the primary last November with four thousand, two hundred and ninety (4,290) votes. Renowned lawyer, Abraham Amaliba, finished behind Mr. Adongo with three thousand and fifty-two (3,052) votes. Computer expert and Incumbent MP, Emmanuel Akolbire Opam-Brown, polled two thousand, nine hundred and fifty-six (2,956) votes in third position. George Gamson, a senior revenue officer, finished at the bottom with nine hundred and six (906) votes. Camps of Lawyer Amaliba and the sitting MP were at war with members of Mr. Adongo’s support base in the aftermath of the primary. They cited some physical attacks and verbal abuses they claimed were ceaselessly meted out to them by Mr. Adongo’s supporters and vowed to vote against the candidate at the general elections. But Mr. Adongo, in defence, told Tanga Radio, a popular private radio station in Bolgatanga, that the allegations were unfounded. “It is normally an initial reaction when people feel that election did not go their way. Yes, people are dissatisfied; people are complaining that their candidates did not win. But it is up to me now to rally them around to understand that we need to have the NDC in government because it is better to have the NDC in government and to support each other than to be divided and lose the election in 2016. I will do all I can to mobilise all the forces that are available to ensure that the NDC forms a united, formidable force to push the elephant once again into the bush,” he affirmed. Meanwhile, a group dubbed “Lawyer Amaliba Fan Club” has emerged in the constituency. Lawyer Amaliba told Tanga Radio the group was established essentially to ensure that the disgruntled members of his camp did not vote against Mr. Adongo as threatened. Besides, a reconciliation committee, led by the party’s General Secretary, Johnson Asiedu Nketia, and the Minister for Local Government and Rural Development, Alhaji Collins Dauda, assembled all aggrieved parties together in Bolgatanga from across the region’s fifteen constituencies to resolve the allegations of infractions levelled against some factions. The meeting took place on Wednesday 10th February, this year. Three sitting MPs in the region crashed to the ground in defeat at the November 2015 primaries. They include Bolgatanga Central’s Emmanuel Akolbire Opam-Brown, Noah Ben Azure at Binduri and veteran legislator, Dominic Azimbe Azumah, at Garu. Albert Akoka, the District Chief Executive (DCE) for Garu-Tempane, was the only government appointee among the three DCEs who vied for the parliamentary tickets in their respective constituencies in the region who succeeded, toppling the long-sitting MP for Garu. 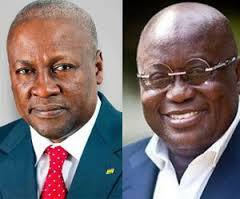 The Chiana-Paga Constituency is yet to hold its primary for unexplained reasons only trailed by public speculations that largely link the delay to a petition filed by one of the aspirants over attempts to disqualify him from the race. But credible sources who took part in the reconciliation meeting say the primary would be held anytime soon to afford the eventual candidate the needed ample time to campaign ahead of the November 7 polls. Mr. Adongo is in an electoral showdown with two main contenders― Mr. Rex Asanga, a rural development expert into NGO management, from the NPP and Thomas Akurugu, a chartered accountant, from the People’s National Convention (PNC). The NDC at the 2012 parliamentary polls obtained twenty-eight thousand, one hundred and forty-four (28,144) votes, representing 59.12%. The NPP garnered thirteen thousand, four hundred and sixty-four (13,464) votes, signifying 28.28%. The People’s Progressive Party (PPP) got three thousand, five hundred and twenty-three (3,523) votes or 7.40% as against the PNC’s two thousand, two hundred and sixty (2,260) votes or 4.75%. The National Democratic Party (NDP) attracted two hundred and sixteen (216) votes, representing 0.45%.